Posted on January 4, 2011 by Albert G.
This is something totally new and foreign to me. But, I figure the New Year should be about taking on new experiences and challenges. 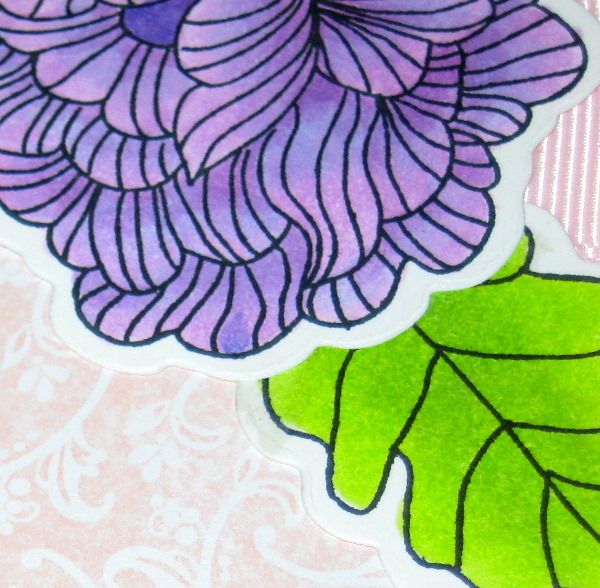 By now, if you are a crafter, enthusiast, and/or Cricuteer for any length of time, you’ve surely heard of My Pink Stamper–Ms. Robyn Cardon. 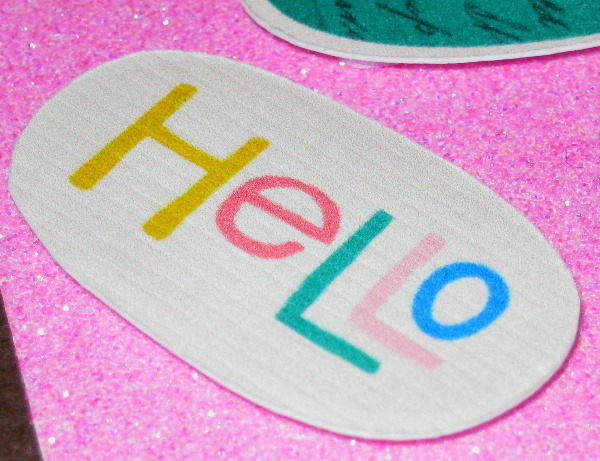 I’ve long been a fan of her instructional videos, Cricut expertise, and bubbly personality. Her site is so popular that she’s developed her own product lines and has design team showcasing them. I’ve always read many sites that have calls for design team members, but I’ve never really been motivated or brave enough to attempt a submission. For some reason, I’ve always held back on putting myself or my work “out there”. 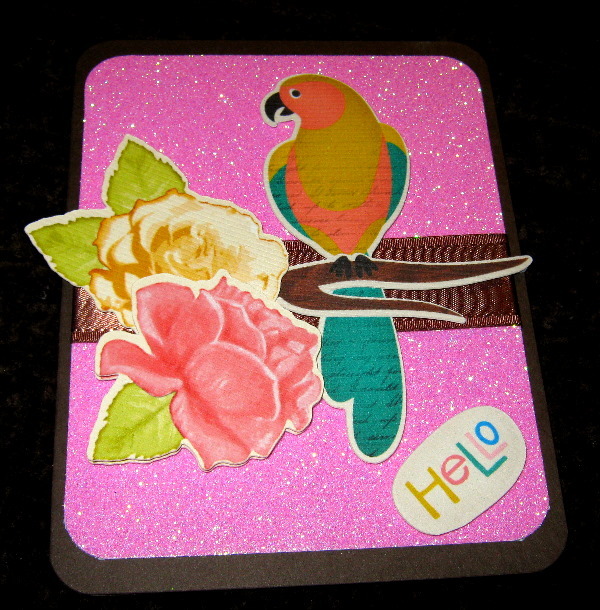 But, this year, I want to try and promote my blog and myself a bit more–and in doing so, hopefully provide encouragement and inspiration to other crafters the way My Pink Stamper inspires me. 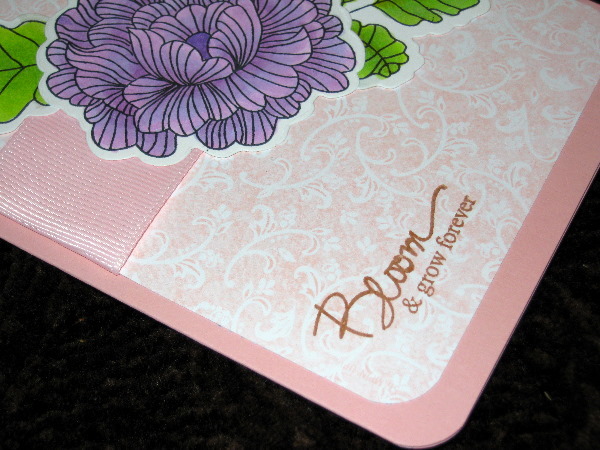 So, for her design team call, Robyn asked submitters to “make a card, scrapbook page, or other Cricut project with your favorite cartridge using my favorite colors……pink, green, brown, and (other optional color of your choice)”. 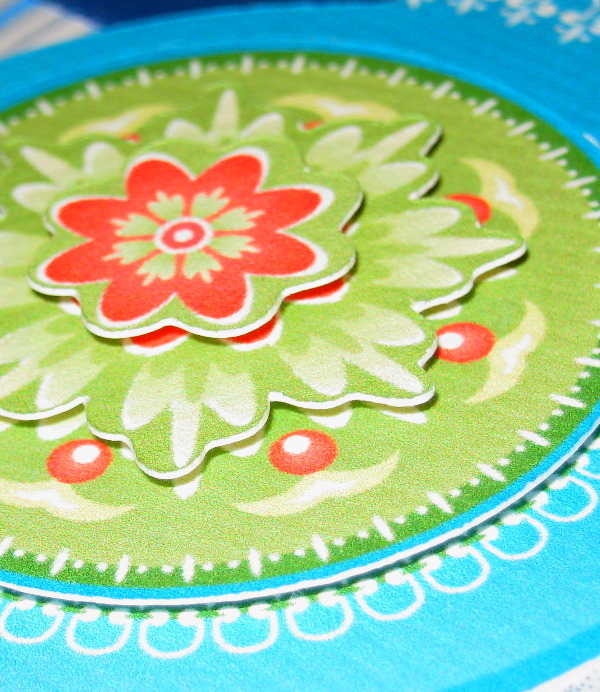 For my project, I chose to work with my Cricut Imagine and the suggested color palette inspired a tropical theme to my card submission. 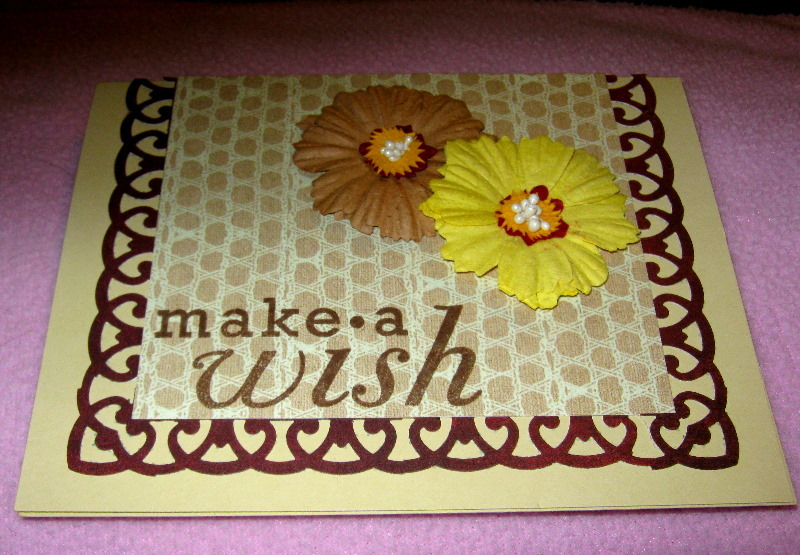 My base cardstock is from Stampin’ Up! in a color called “Early Espresso” (5 1/2″ x 8 1/2″, scored at 4 1/4″). 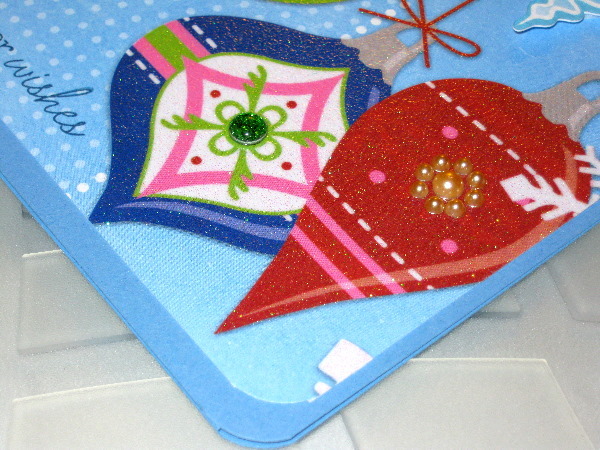 The card mat is a piece of American Crafts glitter cardstock in “Lip Gloss” (4″ x 5″). 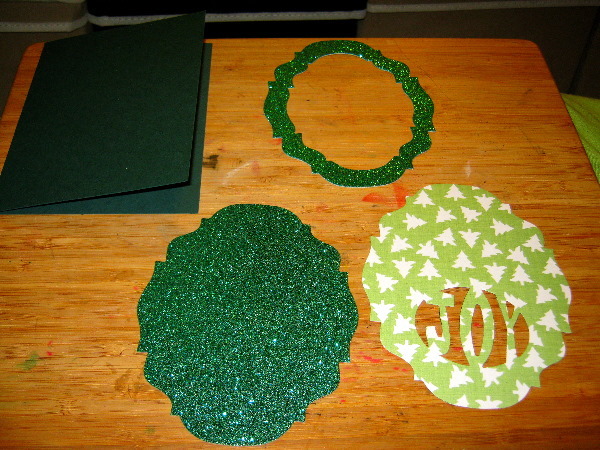 I used my Zutter Round-It-All 1/2″ to cut all four corners of the base and mat cardstock. 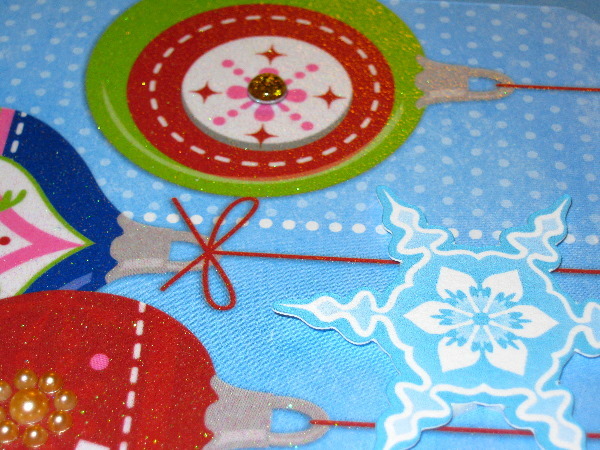 I used Bazzill corduroy textured cardstock in “Snow” to print and cut my images with my Cricut Imagine. 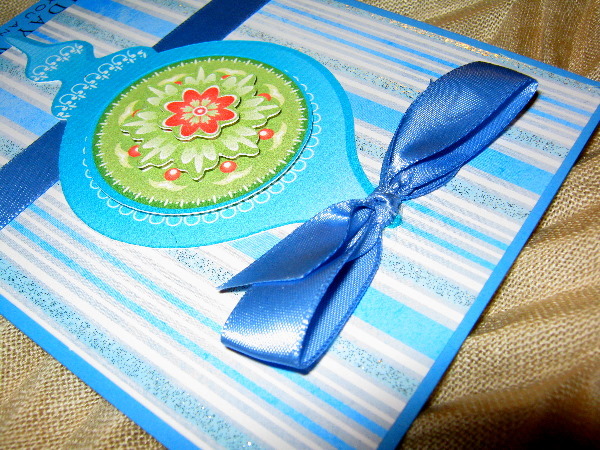 I used artwork from two of my favorite Imagine art cartridges to design this card: “Imagine More Cards” and “Better Together”. 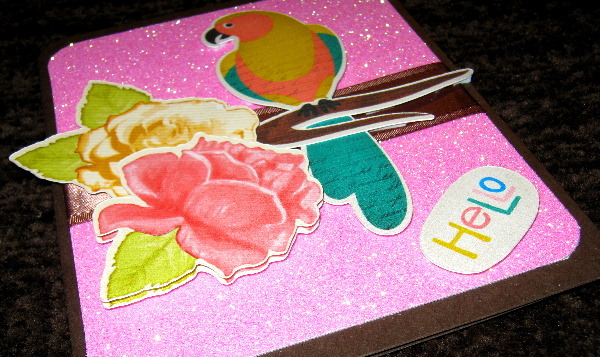 The parrot, branch, and greeting are cut at 4″ from the “Better Together” cartridge. 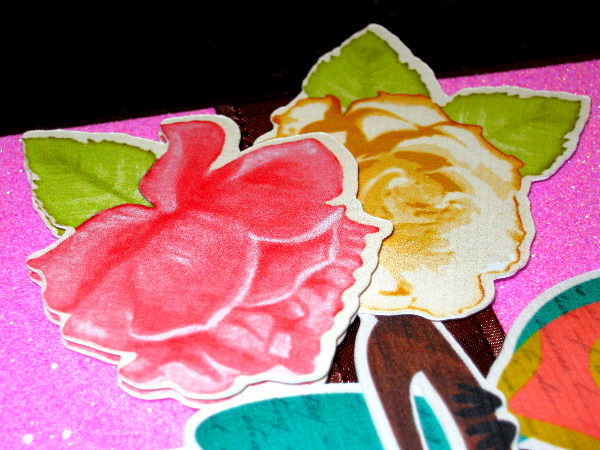 The rose layers are cut at 3 1/2″ from the “Imagine More Cards” cartridge. 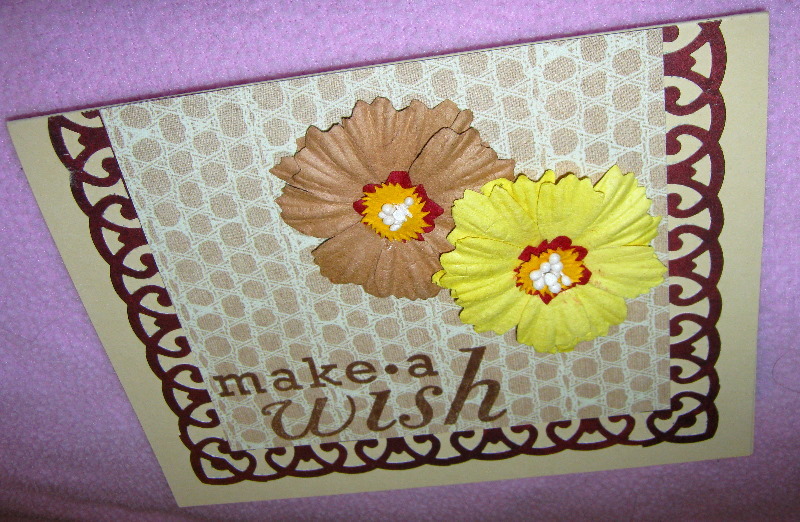 I used Stampin’ Up! 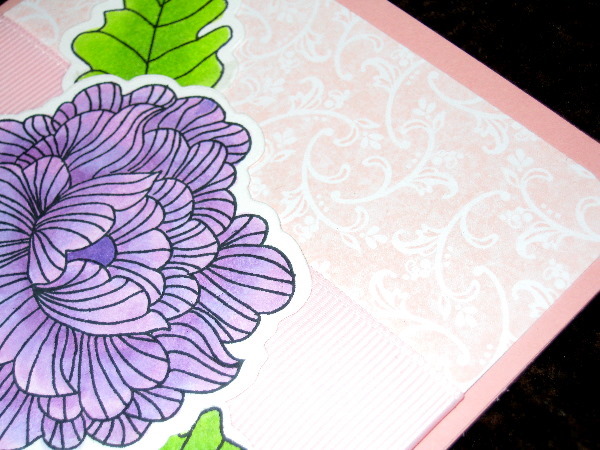 Stampin’ Dimensionals to layer all of images to create depth and visual interest. 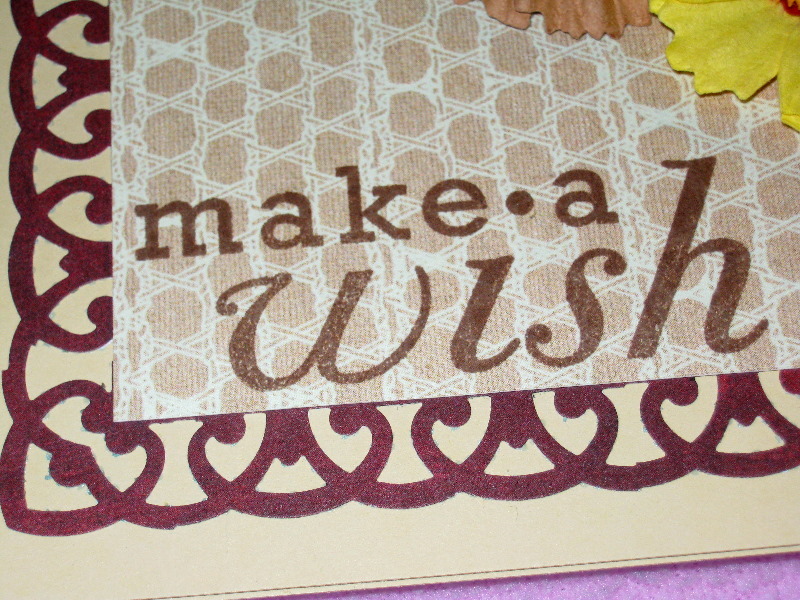 The final touch was a piece of Stampin’ Up! 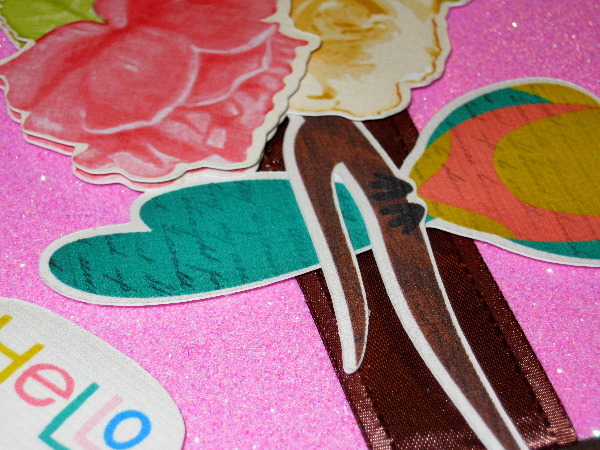 ribbon in “Chocolate Chip” (using the My Pink Stamper “cheater” method). 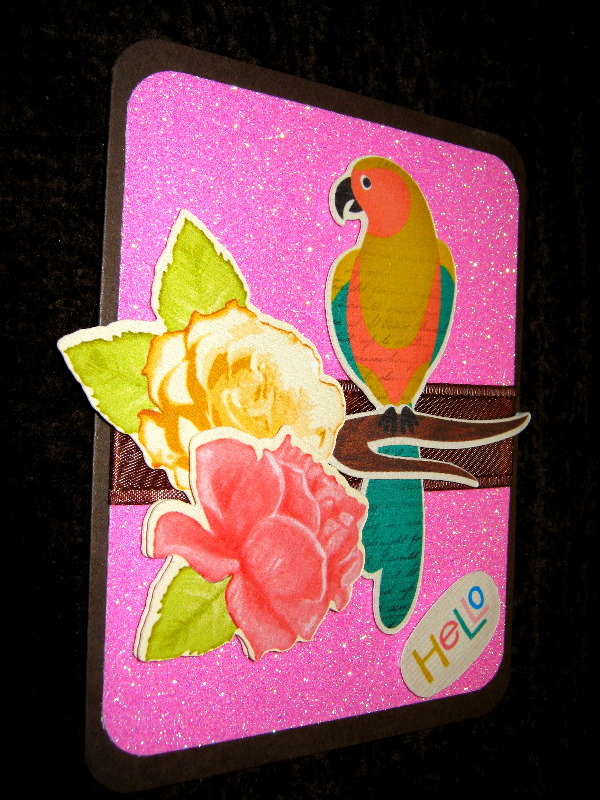 Overall, I think the artwork and color palette evoke the feel of a bright sparkling evening sunset on a tropical isle. 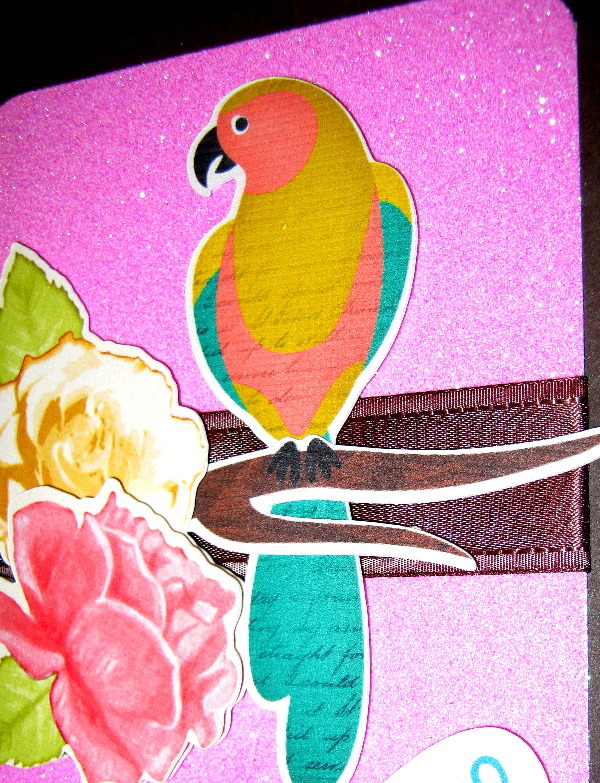 All my little parrot friend needs is a little drink with a tiny umbrella served in a cocunut cup. Or maybe I’m projecting? 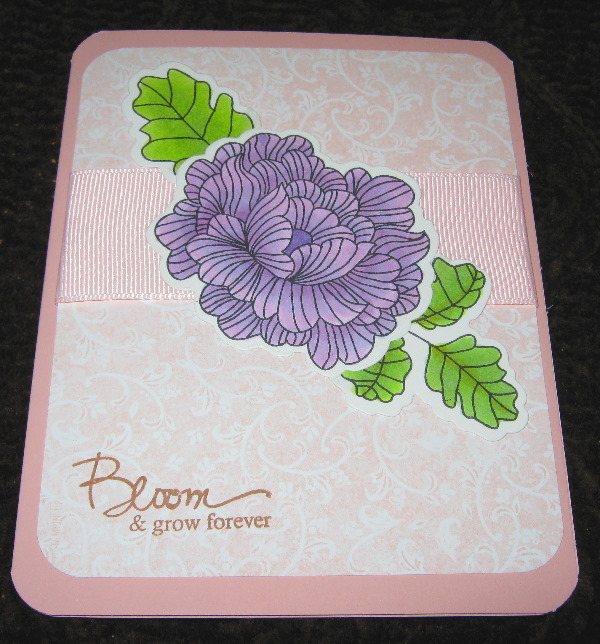 I want to take a moment and thank My Pink Stamper for the challenge and opportunity. It was a lot of fun–and more importantly a chance to step outside my comfort zone. 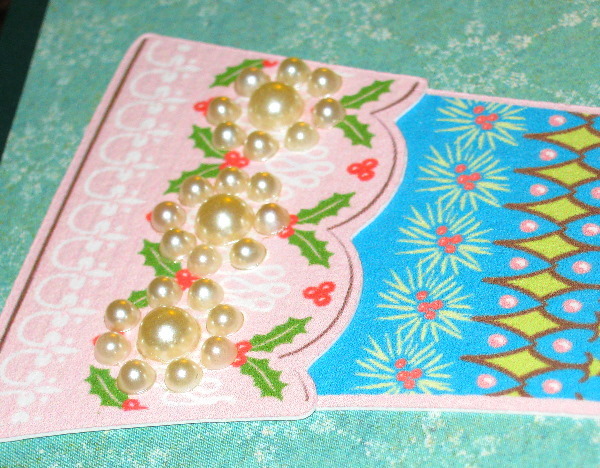 Here’s a quick card I made this weekend. 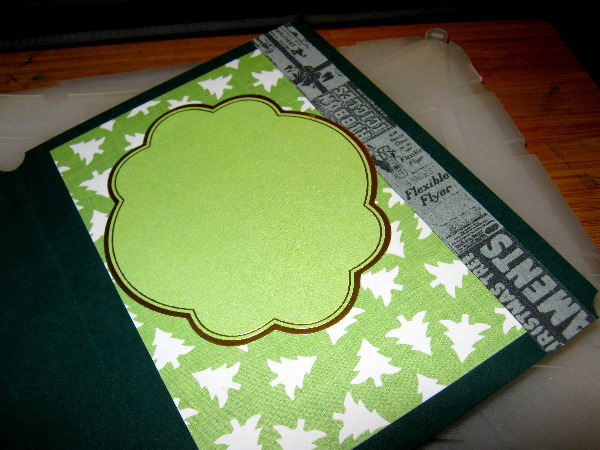 The papers and ribbon are all from Stampin’ Up! 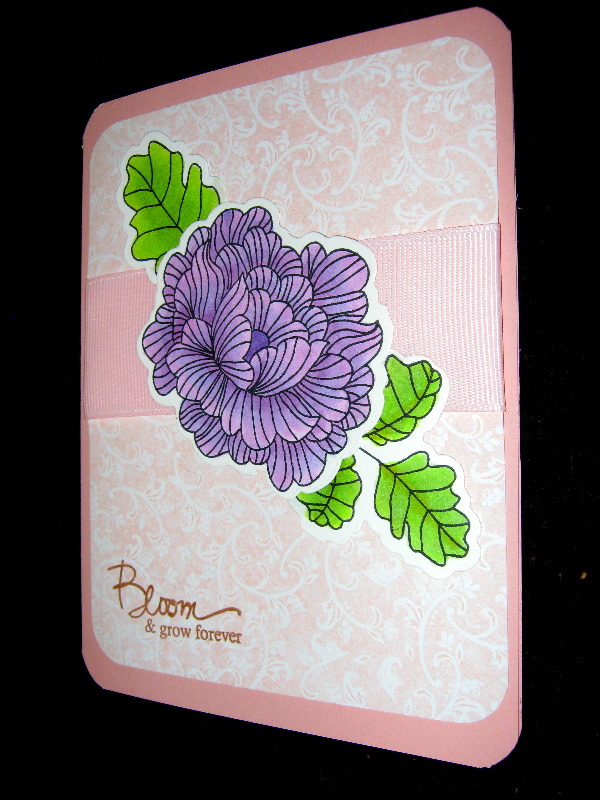 The stamp set and steel dies are from Papertrey Ink’s “In Bloom” collection. 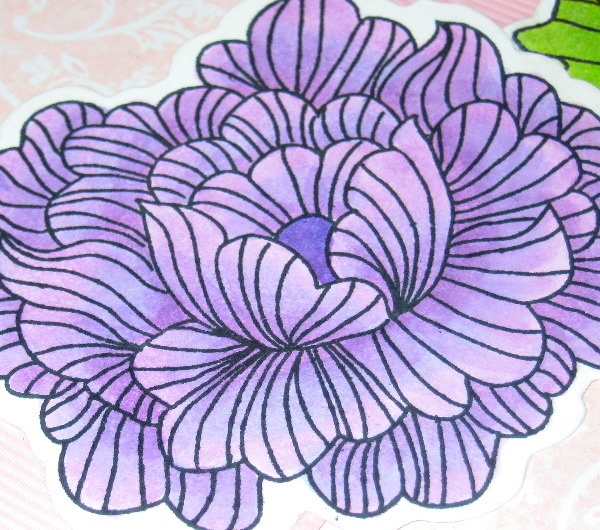 I used my Copic Sketch markers to hand color the images–specifically Mallow (V15), Amethyst (V17), and Pale Grape (V91). Posted on December 20, 2010 by Albert G.
I want to take a moment and wish all my readers and their families a Happy Holiday season. Whatever holiday (if any) you celebrate, I wish you and yours a peaceful time with family and friends. 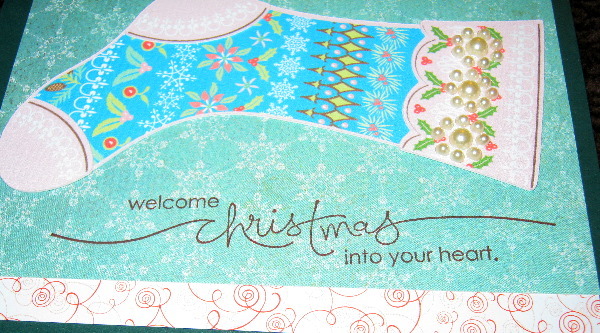 May love warm your hearts and the season stir your spirit. 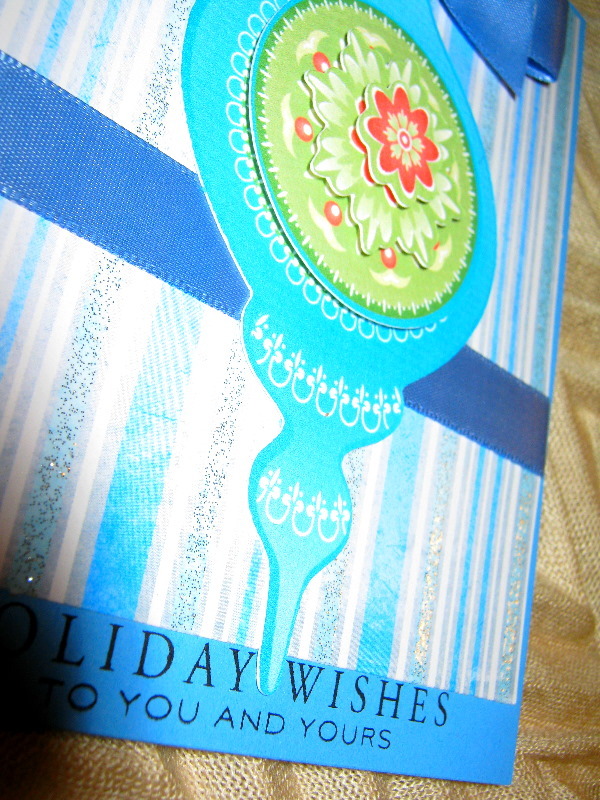 I wish you love and much joy…and I’ll “see” you again after the holidays. 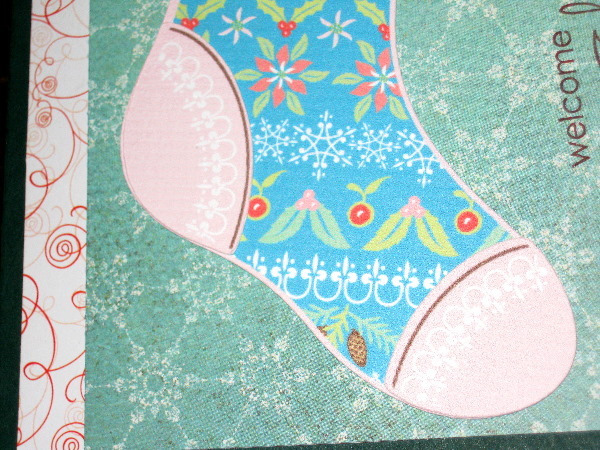 I have one more of my Christmas cards to share with you today. 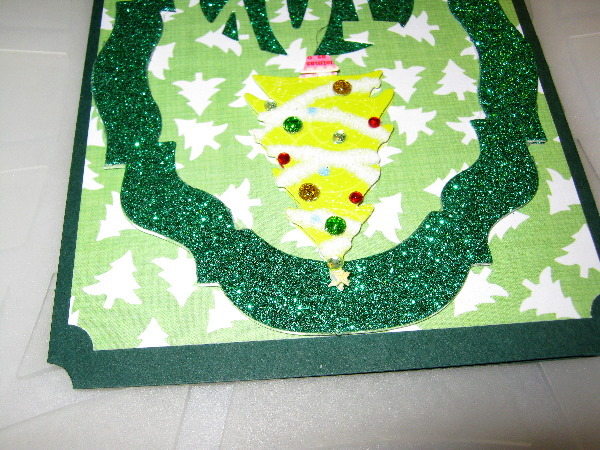 I think I’m really going to miss making Christmas themed cards as we head into the new year. 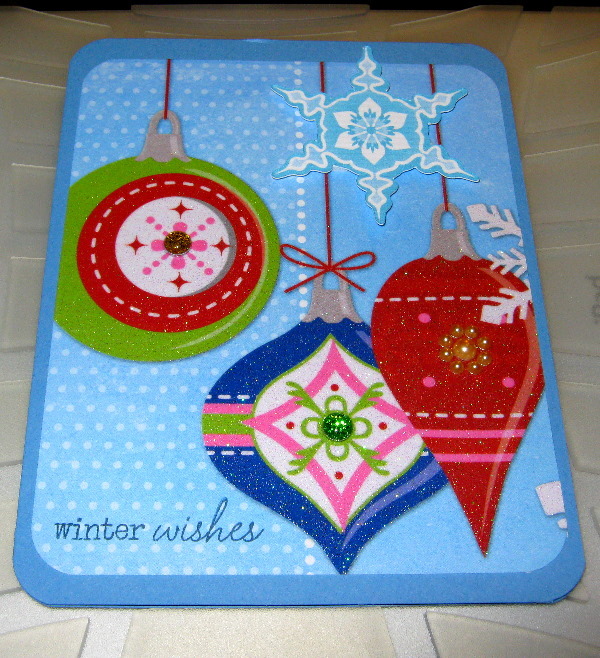 I tend to create in seasonal moods, so I probably won’t return to Christmas cards again until next Fall. But, soon we’ll have the New Year and holidays beyond until Spring awakening. Keep warm. Keep happy. 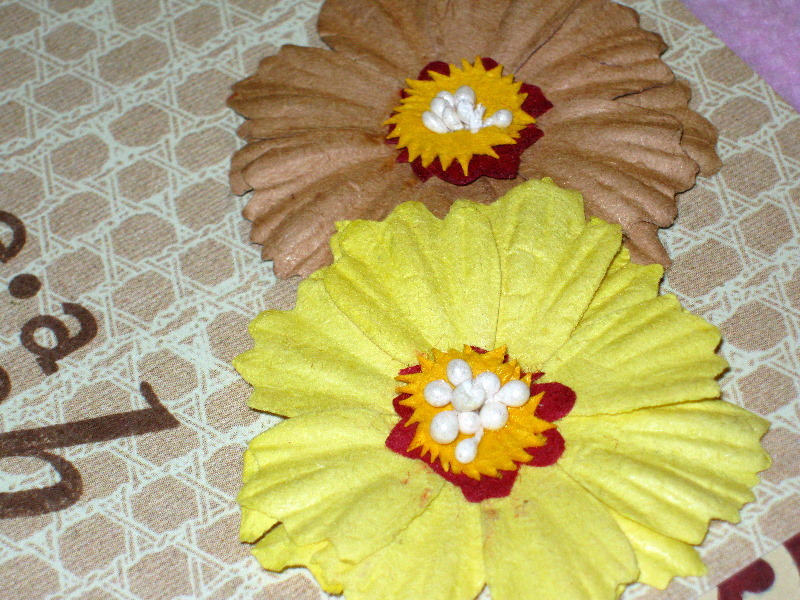 And as always, keep crafting. xox, A. 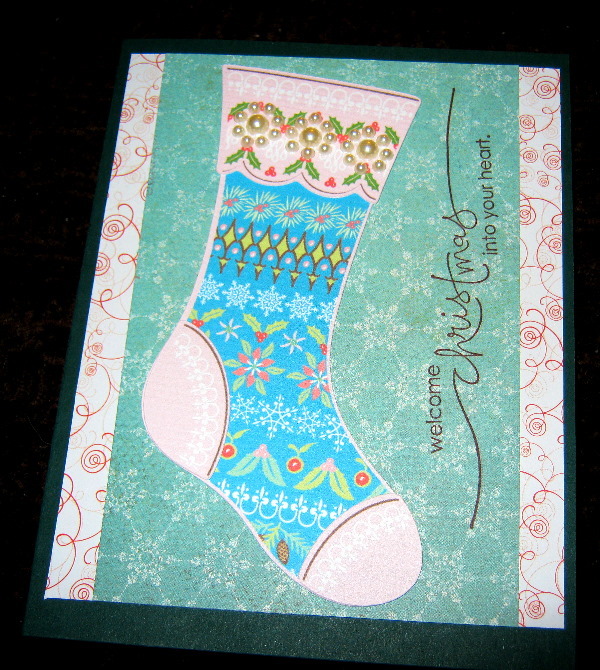 Posted on December 14, 2010 by Albert G.
Today’s card project came together after playing with some of my Sizzix dies from Tim Holtz’s Alterations line. For those of you not familiar with the line, you can find some information here. 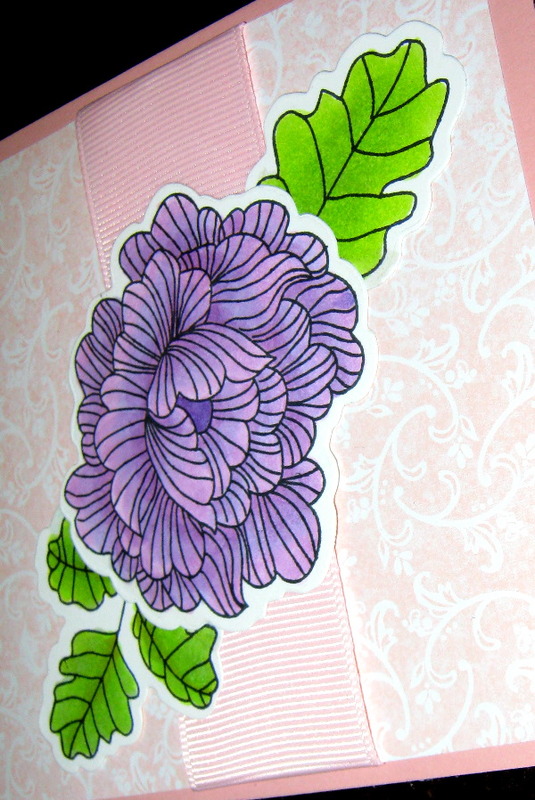 I particularly love the Movers & Shapers dies, as you have more control and creativity over where your designs are situated on the materials you are working with. 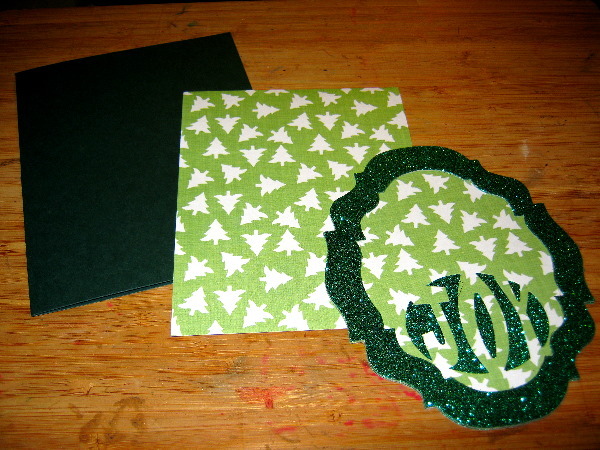 Here are the basic pieces for putting this card together: the cardstock base is Papertrey Ink in Pinefeather (5 1/2″ x 8 1/2″, scored at 4 1/4″), the solid Baroque die cut in American Crafts glitter cardstock in Evergreen, the Baroque frame from the same cardstock (created with both the large and mini Baroque dies), and another Baroque die cut with the “Joy” cut-out done with decorative cardstock from Joann’s “Peppermint Forest” collection (from last year). 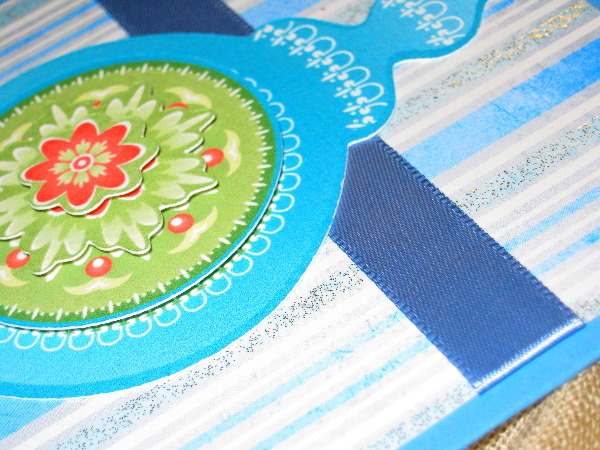 The main objective was to create a window look using the Baroque cut layers. 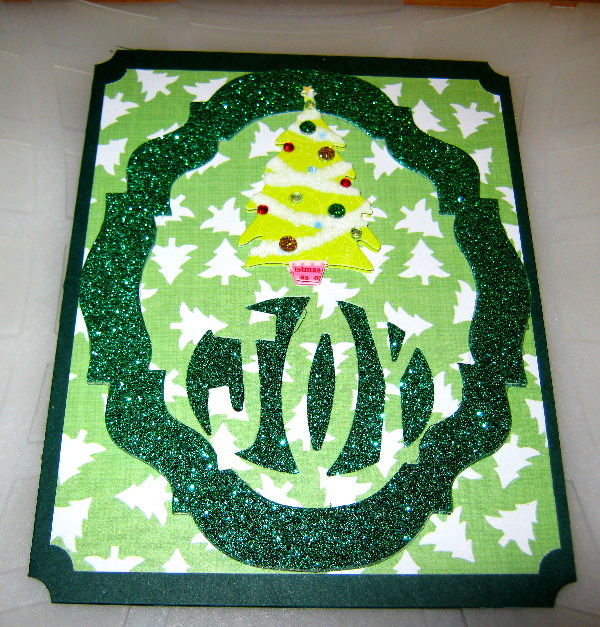 Using the solid glittered cut as the base and layering the decorative “joy” cute between it and the glittered frame. 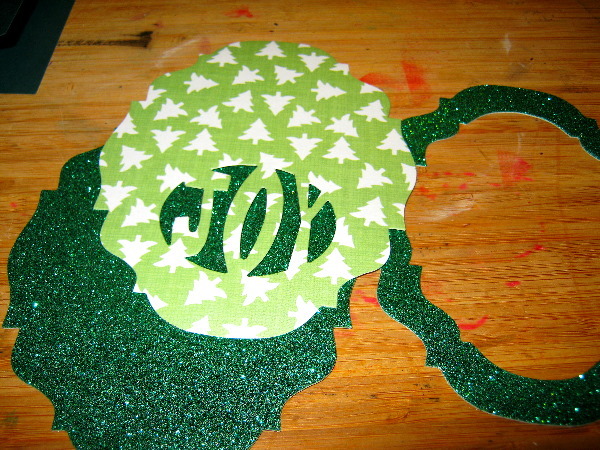 After I adhered the layers of my window frame together, I decided that I wanted to use another piece of tree print decorative cardstock to create a mat on my cardfront for continuity of design and theme. 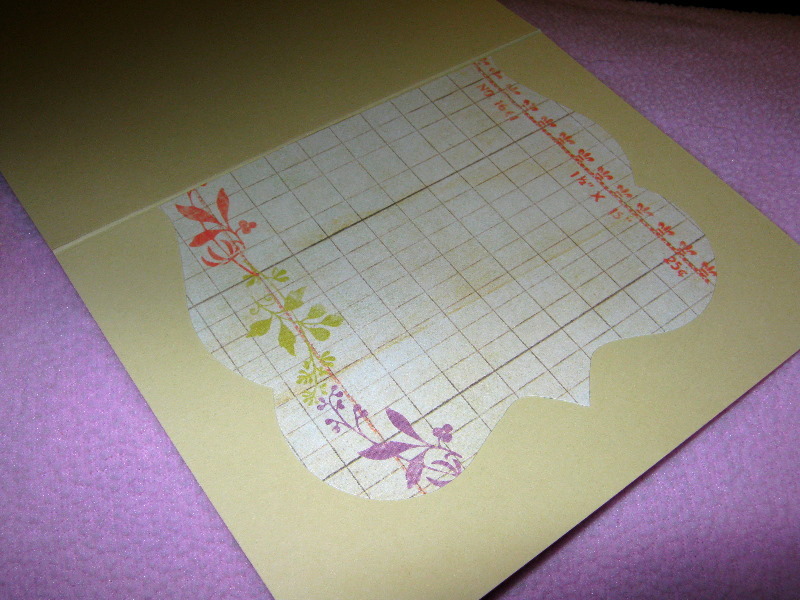 So I used some left over from my die-cutting and cut a 4″ x 5″ piece for matting. 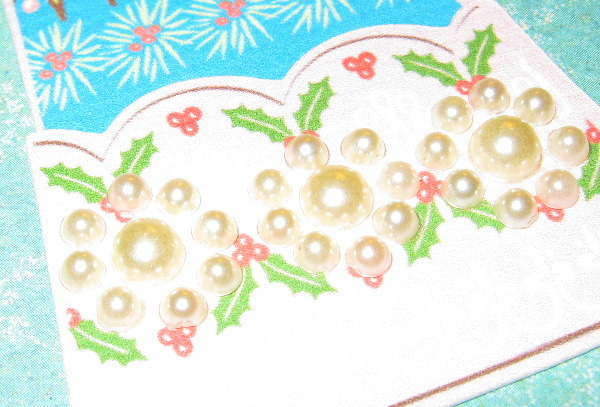 Now it was just a matter of choosing the right finishing touches and embellishments for my card. 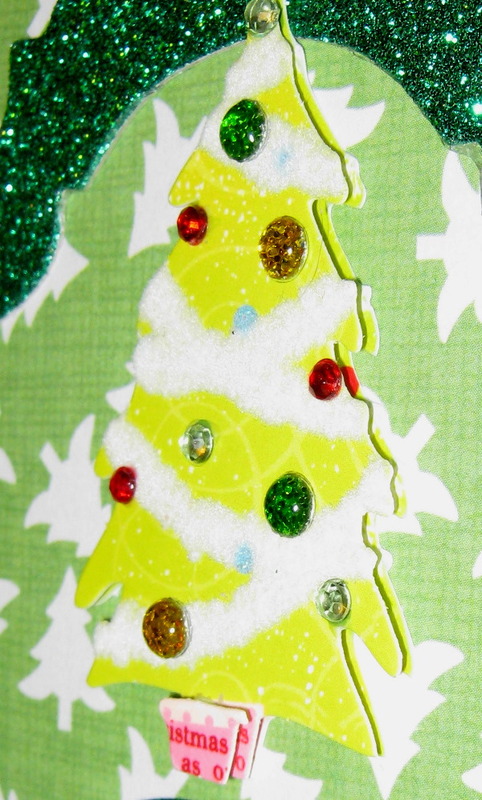 In the end, I chose to continue the Christmas tree theme out with a small layered tree decorated with a bit of flocking and various gems. 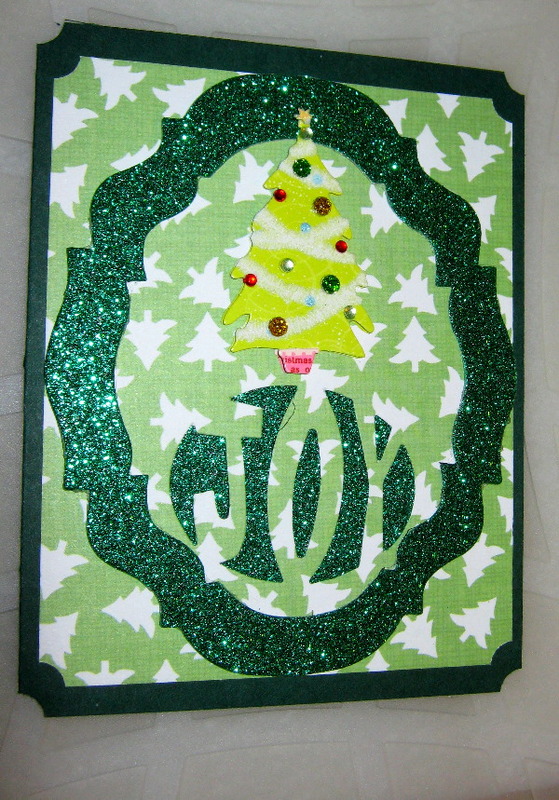 For the inside of the card, I used another scrap piece of the tree cardstock as a backdrop for my sentiment block. 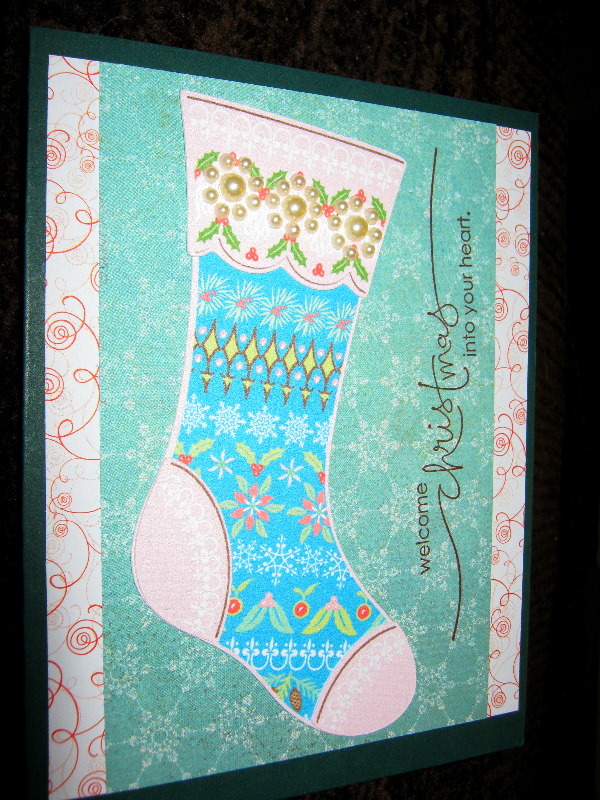 I also used some Tim Holtz tissue tape from the Tidings collection. 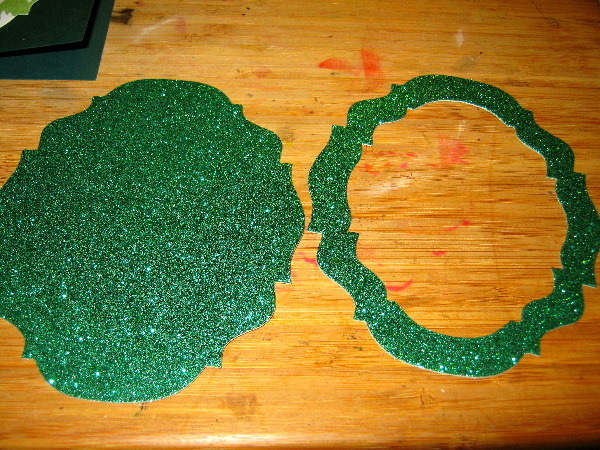 All in all, I was really pleased with the way my “playing” turned out. 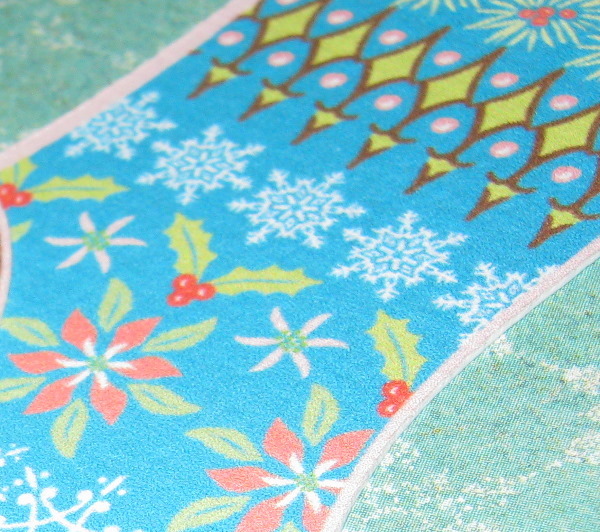 It’s hard to believe that we’re in the final stretch leading up to Christmas festivities. The time between Thanksgiving and Christmas has literally seemed to fly by. 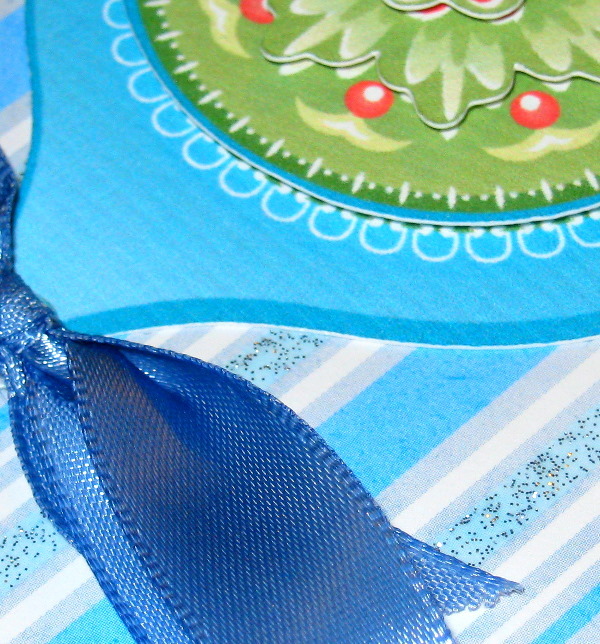 I hope you are all well, warm, and close to “wrapping” up your holiday plans. 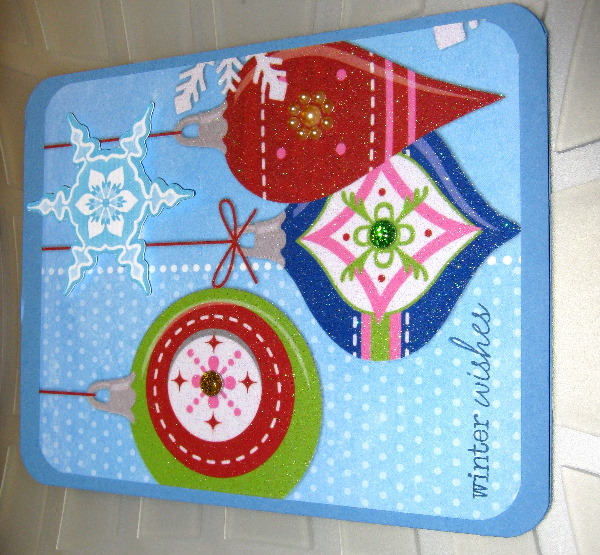 I’m waiting on one more straggling package from my on-line shopping and then my Christmas list will be completed. I have to say that in addition to allowing us to share ideas and projects, the Internet has revolutionized my shopping modus operandi. 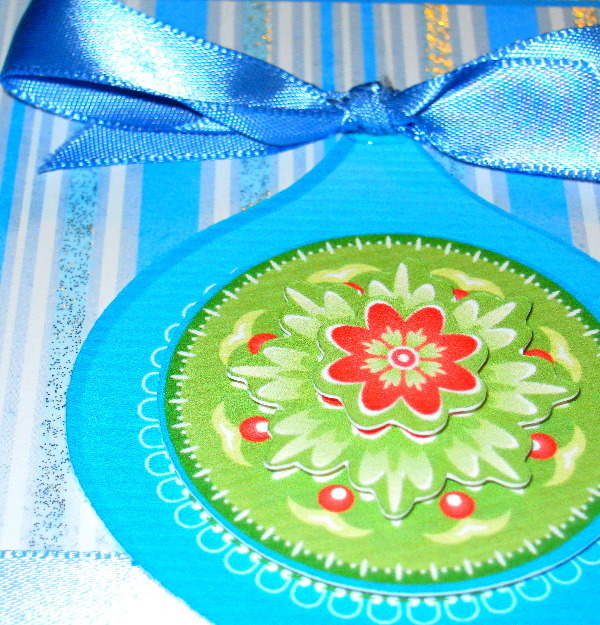 Each year, I’ve relied more and more on on-line shopping to complete my gift list. With the exception of a couple of items, I think this year 95% of my retail therapy was done on-line. This cyber thing is an amazing place. 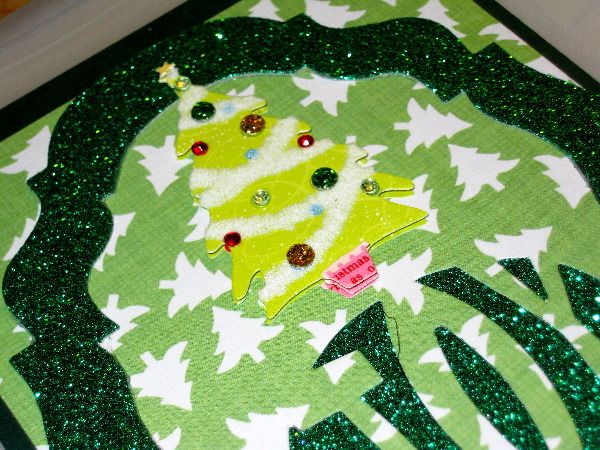 Posted on December 10, 2010 by Albert G.
Posted on December 8, 2010 by Albert G.
Christmas is one of my favorite times of year–for many different reasons. 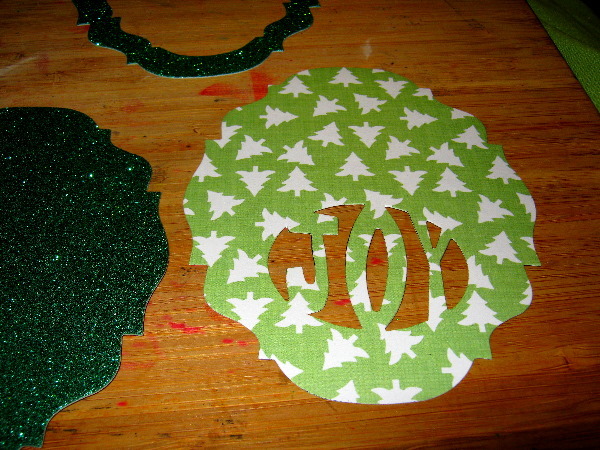 However, I have to admit that I have a fondness for ornaments. Over the years, I’ve amassed quite a collection of Christmas ornaments–from German blown glass, vintage glittered balls, figurals, pysankas to everything in between. 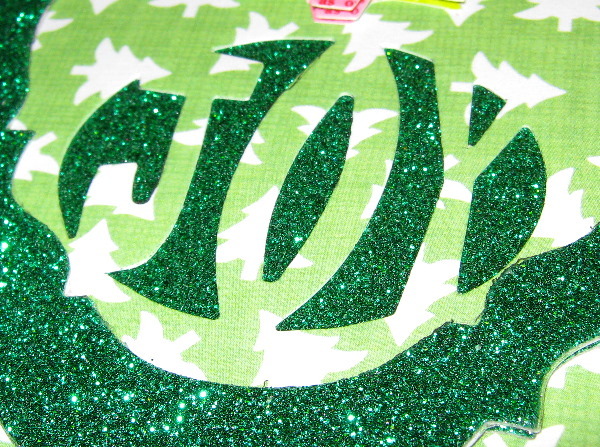 There’s something about sparkling ornaments hanging on a tree reflecting the colored lights that speaks to one’s soul. It’s the perfect embodiment of the spirit of the holiday and the fascination of the child inside of all us that will never grow up. 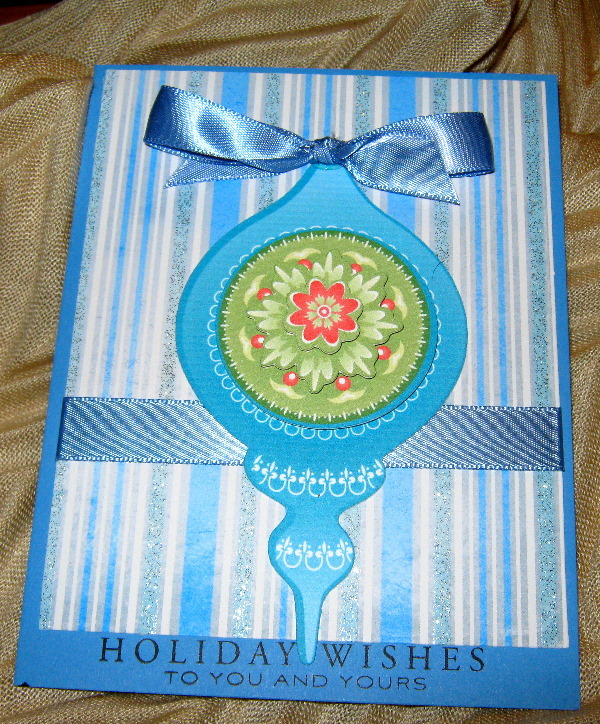 Today’s card project is inspired by my love of ornaments. 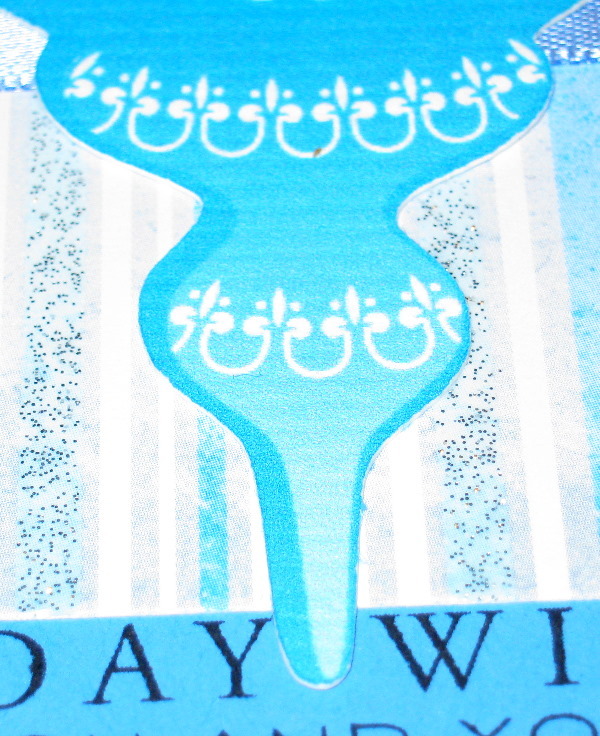 It’s also another card made experimenting with my Cricut Imagine. 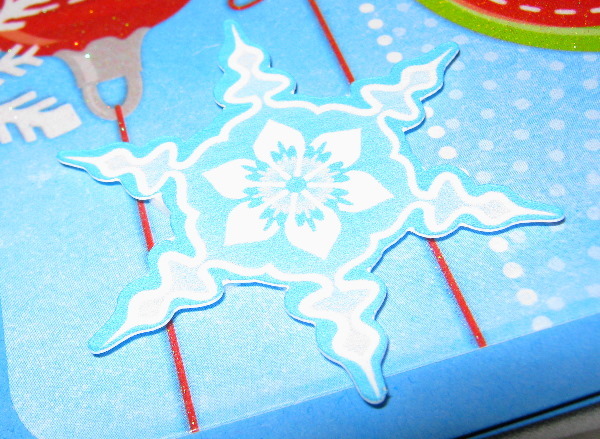 The ornament layers were printed and cut with the Cricut Imagine Art Cartridge entitled “Snow Angel” at 4″. 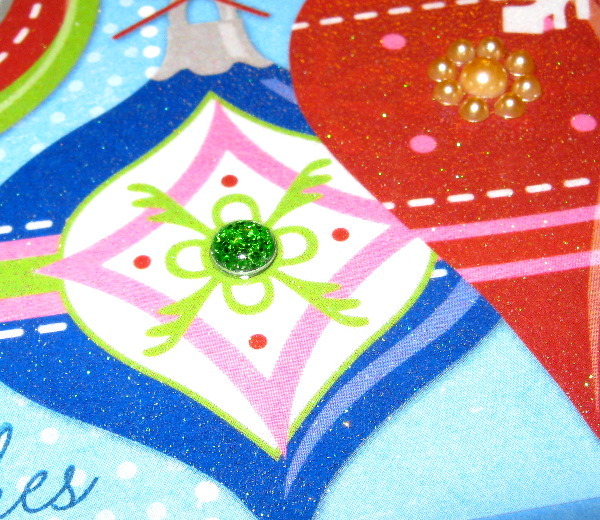 The layers of the ornament were then assembled using Stampin’ Up! 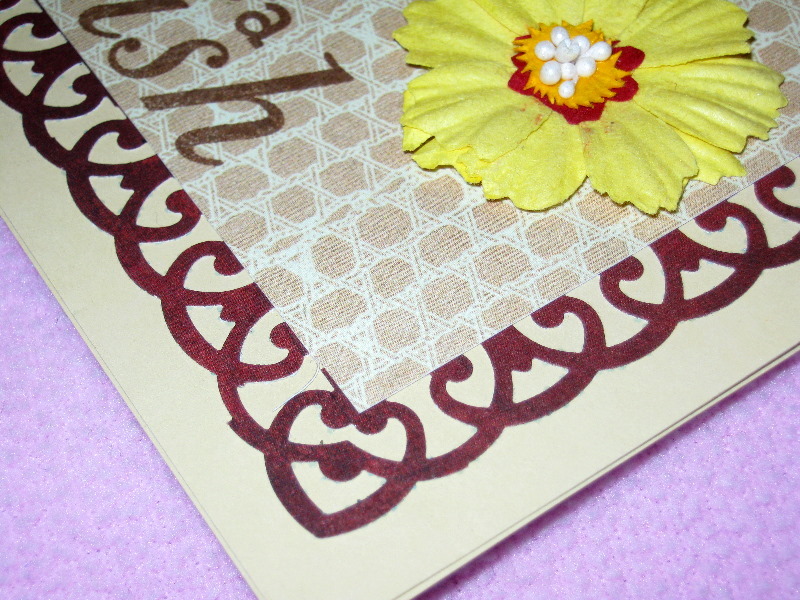 Stampin’ Dimensionals to create depth and visual interest. 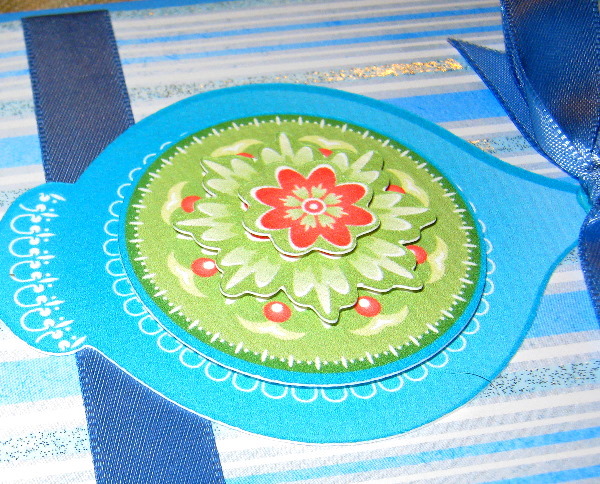 The base cardstock and ribbon are both from Papertrey Ink’s Blueberry Sky color way. 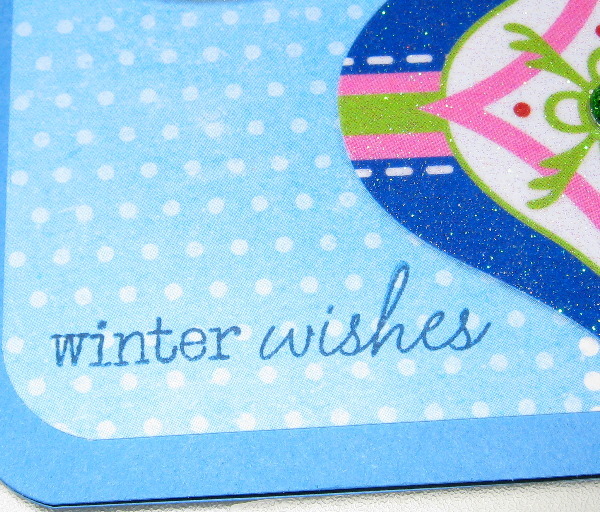 The card mat is a 4″ x 5″ piece of glittered cardstock from Die Cuts With A View (DCWV) “Winter Wonder” paper stack. 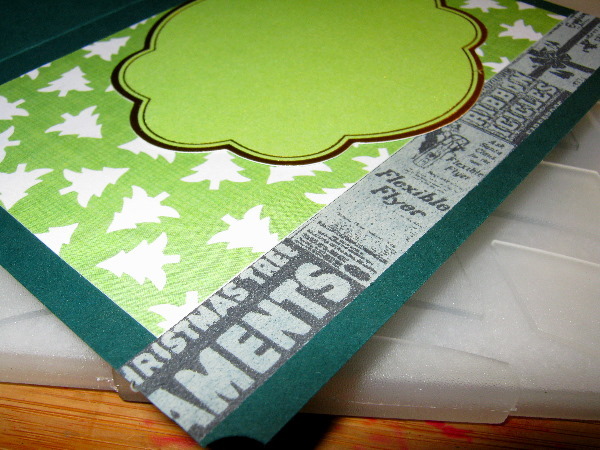 The sentiment is a clear acrylic stamp from Papertrey Ink. I hope that if you celebrate Christmas, your tree is filled with beautiful ornaments that remind you of family, friends, and most importantly, love. 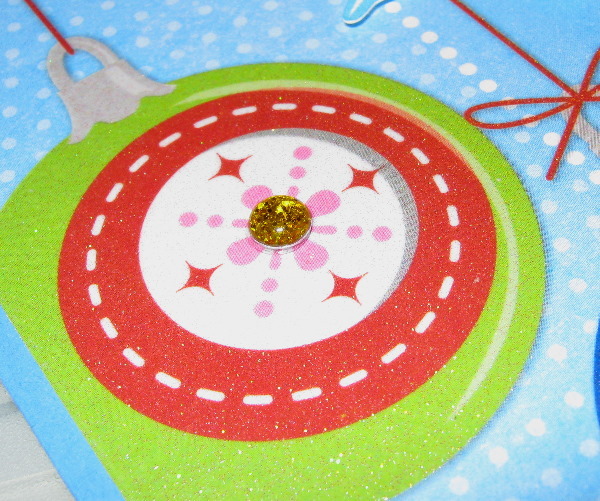 As always Crafters, keep the adhesive and scissors nearby–because there’s nothing that can’t be made a bit better with the proper tools.